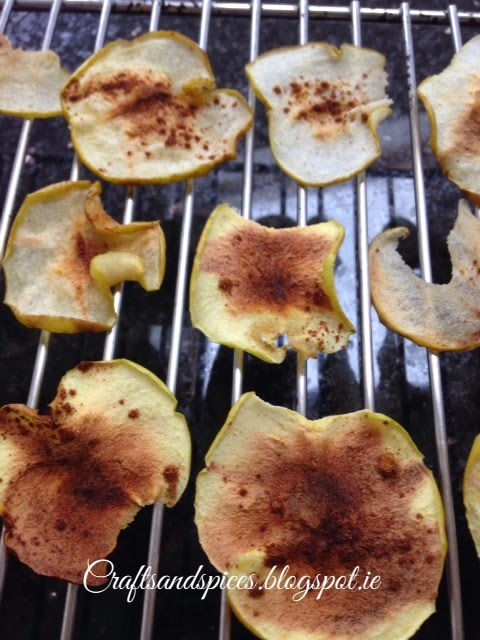 We were trying to come up with an afternoon snack idea and decided to make something quite simple with ingredients we had in the fridge; so we settled for cinnamon apple chips. 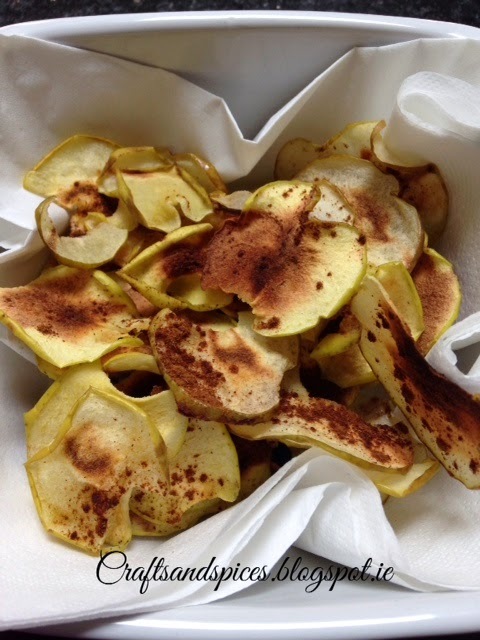 I made them very often last winter and love the smell of cinnamon lingering in the house! It reminds me of Christmas: my favourite time of the year. Slice the apple using a potato peeler and place the thin slices in a microwavable plate previously sprayed with Frylight. Make sure that the slices are spaced out. 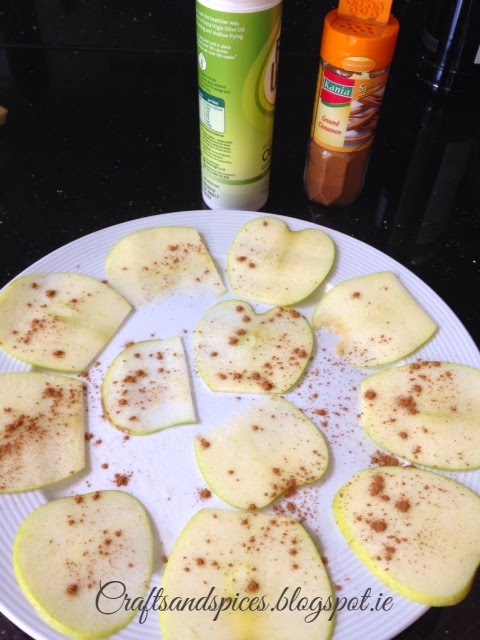 Sprinkle some ground cinnamon on them. Put in the microwave for about 8 mins. Place them in a wire rack to cool.